The Movember Foundation has unveiled a graffiti art of a real suicide note to demonstrate that suicide is preventable and conversations can save lives. 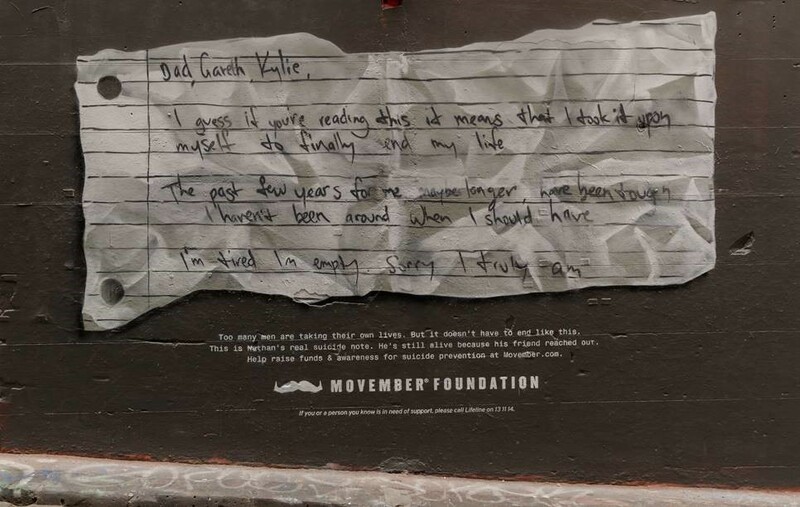 The artwork by Ling ID in Melbourne’s Hosier Lane is inspired by a suicide note written by Nathan Tomlin, in which he made a plan to end his own life and apologised to those closest to him. It will now be a symbol to encourage men to speak up and ask for help. Tomlin said he shared the note to show that all it takes is a conversation to save a life. He was experiencing bouts of depression and was reeling from the death of his mother. With the suicide note, Tomlin made a playlist of music to see him through to the end. As he listened to the final track, Tomlin said he received an unprompted message from one of his closest friends who told him she loved him and missed him. The message was a catalyst for him changing his mind and the note was never read. Suicide is the leading cause of death among Australian men aged between 15 and 44 and six Australian men take their own life each day. 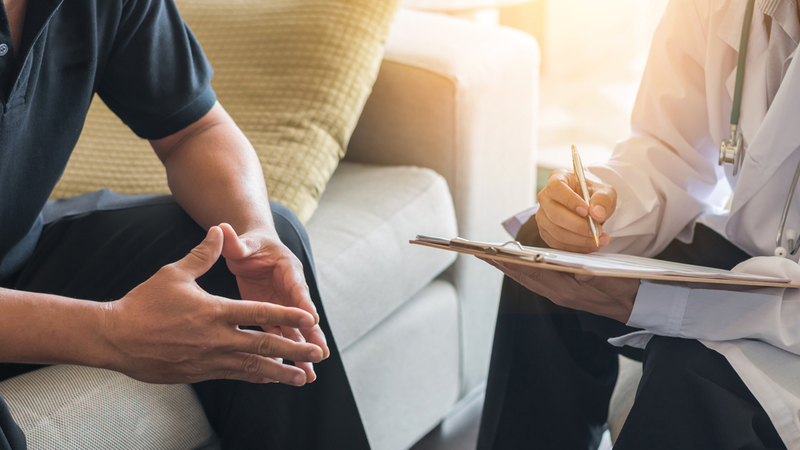 For every death by suicide, Lifeline has estimated that as many as 30 people attempt to end their life – this means approximately 65,300 men, women and young people attempt to end their life each year. 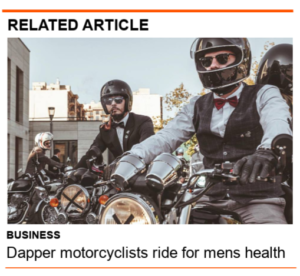 “The male, macho stereotype is horribly wrong,” Tomlin said. “The strongest men are those who ask for and seek help, who continue on, and who help others. All it took for me on that night was a simple message to save me and to keep me going. Martin added that the artwork – and stories like Nathan’s – is a “powerful reminder” of why it is important for people to reach out to those who are closest to them and “start conversations, ask the deeper questions and listen to what they have to say”.